In the summer of 2011 I went on a 21-day horseback trek through the Altai Mountains in Western Mongolia. After the trek we set up our yurt at a 3-day Eagle Festival. Mongolia is a Buddhist country, so, being a Tibetan Buddhist myself, I visited several temples and museums in Ulan Batar. In the Altai Mountains of western Mongolia our horse trek passed through a varied landscape, from heavily forested hillsides to blasted moonscapes. Our final few days were spent at an Eagle Festival, complete with a camel race. 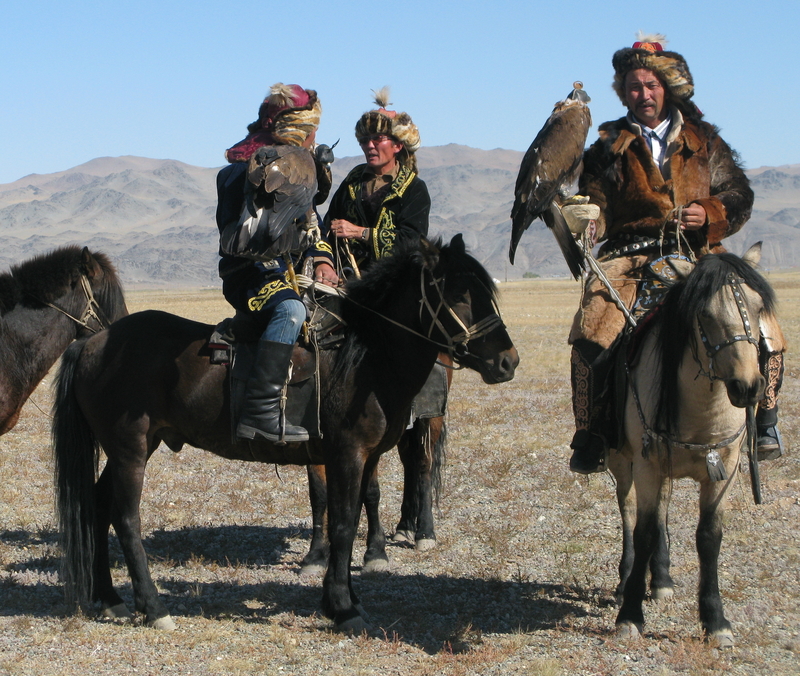 The Boss-lady on the trek was a Kazakh woman named Amangul. 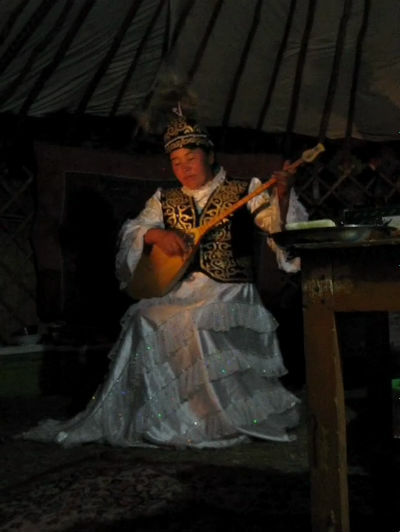 She was a prize-winning singer and musician, and one night she entertained us in the communal yurt. Here is a video of Amangul singing a song about the Altai.